Just a quickie here. “Ethics” was kind of a special edition because of some muckraking and yellow journalism that just couldn’t wait. I’ve gone over this post four or five times and every fact is dead true. There isn’t a lie or exaggeration in it. Pretty good for one of my posts, huh? Well I’m feeling pretty good today. Why? For one the Dunbar thing went down just as I predicted. “Willy” is the “monthly read” from now ’til August something in Literary Darkness on GR (lends a new meaning to darkness). So I’m only one for one you say. Oh no effendi, I’m batting two for two today. Go back and look at “Suckers” from a week or so ago, then look at the DJIA today, then look at your 401K. Was it chicken day at your house? The farmer didn’t bring any chicken feed today did he? And your investments are also going to look like chicken feed if you don’t do something about it real soon. Don’t say I didn’t tell you so. BTW I bailed out last Friday. I’m feeling like the cat that ate the canary. Robert Dunbar is a really good writer. Most people would categorize his writing as horror but he would chafe a bit at that. He is a genre bender and his prose is on the literary side along a sort of Hemingway path. Good Stuff. I think his novel Willy is brilliant. I liken it to A Catcher in the Rye. His short story collection Martyrs and Monsters is excellent. Buy it. Buy both of them right now, you won’t regret it. I own all of his books. Now I come to the theme of my present post. Mr. Dunbar and I have had a little disagreement, let’s call it a matter of ethics. Nothing illegal going on here, let’s get that straight also. Mr. Dunbar is a moderator for a little group called Literary Darkness on the ego-driven biblio-social network GoodReads, which is now owned by Amazon I might add. Now this group has a monthly book reading. The group sort of nominates a book and we sort of vote on it and read it and discuss it that month. Kinda cool for a swell-head like me. 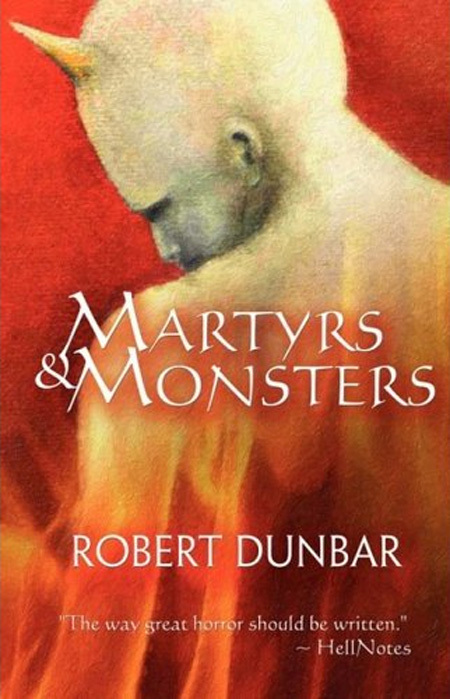 Some time ago the group read Dunbar’s story collection Martyrs and Monsters. Well and fine. 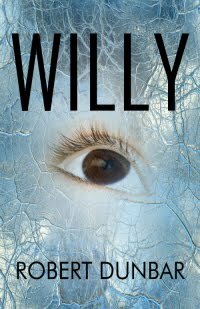 This month the chattering in the monthly reading thread was trending towards picking another of Dunbar’s books, a brilliant novel entitled Willy. There is a little “cult of personality” going on in this group as well. Robert doesn’t encourage it but he doesn’t discourage it either. He’s a big time, okay not Stephen King big, but bigger than all of us are, writer and pretty good. It’s not his fault that the masses don’t go for class. But on the other side intelligent members of this group do fawn just a bit at Mr. Dunbar’s feet. He’s polite, responsive, a good moderator, and answers all queries which is a big deal to fans of a real talented writer. Well your’s truly starts to smell something fishy in Denmark. I jump into the thread and say Robert’s a good guy and his books are good and all, but doesn’t it seem a little funny that another of Dunbar’s books (he only has 7) is coming up in this group as a monthly read. Now I don’t accuse Robert of priming this at all. He’s not pumping it. But he also is not politely bowing out. See where I’m going? There are well over a thousand people in this reading group. It is not called Robert Dunbar’s Reading Group, it is called Literary Darkness. A group called Robert Dunbar’s Reading Group should read Mr. Dunbar’s books just like the Robert McCammon group reads all of Robert McCammon’s books. See I’m from Chicago and a big fan of calling a spade a spade and not messing around. No hidden agendas here. Well, Dunbar deletes my post. It’s gone. Pfffft. He doesn’t tell me in the group or privately that he has done this evil thing. I notice it when I go back to the thread to see the new posts. It’s just gone. Now you know me, I never get excited. Mr. Dunbar and I have a terse private exchange of messages when I call him out, also in private. I ask what’s the deal? He basically says that the group has been clamoring for this for two years. So what, that is not the point. Taking the high road when both the high and low are offered is the point. Are we getting anywhere? There is also an intimation, no, more than an intimation, that yours truly is a little too negative. Hmmm. 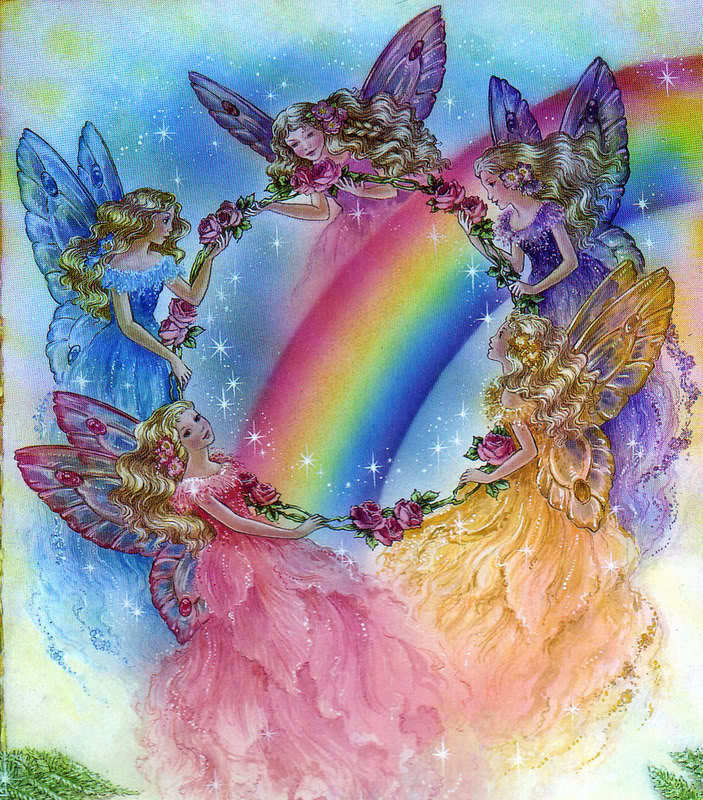 So the world of literary criticism and discussion is supposed to be fairies and rainbows (see below) especially when it comes to Mr. Dunbar’s creations? If this goes down, as I think it will, and it will, it will (how much wood woulda woodchuck chuck..?) just be too bad. I don’t have any heroes anymore but I would expect an intelligent and talented person who certainly appears to not be a hypocrite to take the high road when it is offered. Start a separate group to discuss Dunbar’s books. Start a “Buddy Read” with the author as moderator on the side, but don’t intentionally or unintentionally hijack the whole Literary Darkness group monthly read when it smells of merchandising and not literary criticism.